No, “Karen”, in this case, doesn’t refer to a friend. We are experiencing the remnants of “Tropical Rainstorm Karen”. 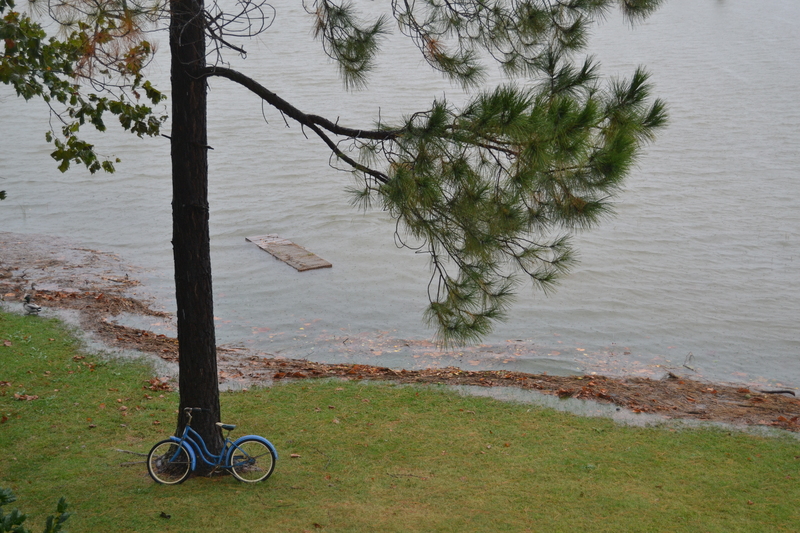 I ventured out on the balcony yesterday in the wind and rain to take a couple of photos. Thankfully, it hasn’t been, and isn’t expected to be, as bad as other nor’easters and hurricanes we’ve had. I’m hoping it doesn’t wash completely away with the tide. But, at the time this photo was taken yesterday afternoon, things weren’t looking too good. We much prefer visits from our FRIEND, Karen. This entry was posted in Days at Home and tagged tropical rainstorm karen. Bookmark the permalink. Well, THIS Karen is definitely not OUR friend, Karen W. We need the rain but could do without the wind….hope your yard isn’t completely destroyed….I know you dread the clean-up afterwards!! 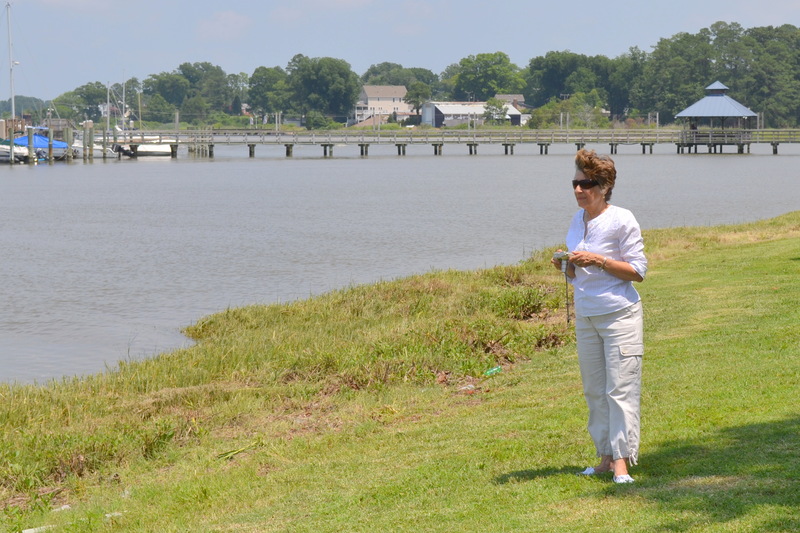 Gosh – looks like you can say bye bye to your feeding station by the water! Hope it doesn’t creep up any closer to the house! Take care. That is so close. Hope it is starting to go down! hope you dry out! 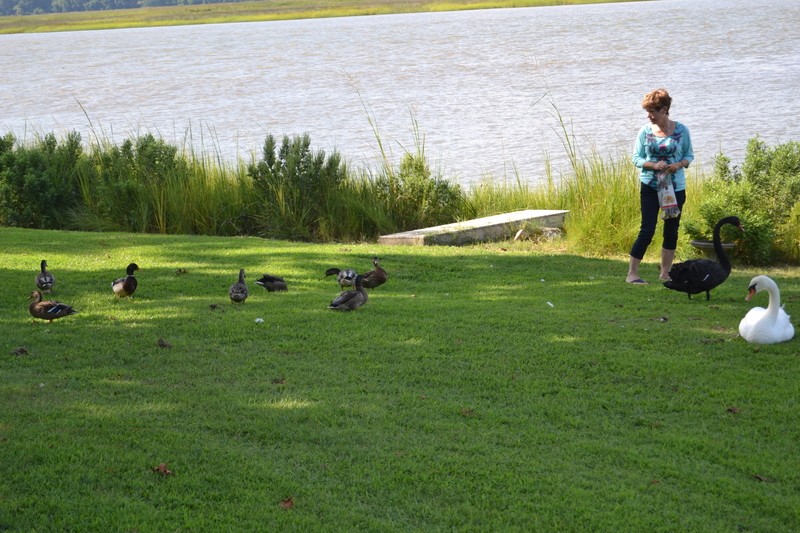 I love feeding duck! It is our Mississippi River Day fav! Keen’s Park under water! Did it leave behind and treasures? I remember when it used to do that Adam would go over with his wagon and collect junk…I mean treasures! wow! lots of water! wish we could take some from you. It’s very gray and ominous today even here in the “Valley.” My weatherman is Bill and he thinks there will just be a lot of rain. Stay dry and cozy inside and don’t worry about the Swan platform. Thankfully this one won’t be as bad as other nor’easters in the past..
.. & I know Motor Man will build you a new ‘walkway’ ! I just hope it doesn’t wash that sweet bike away! Take care! I’ll keep my fingers crossed that you don’t have any storm damage. 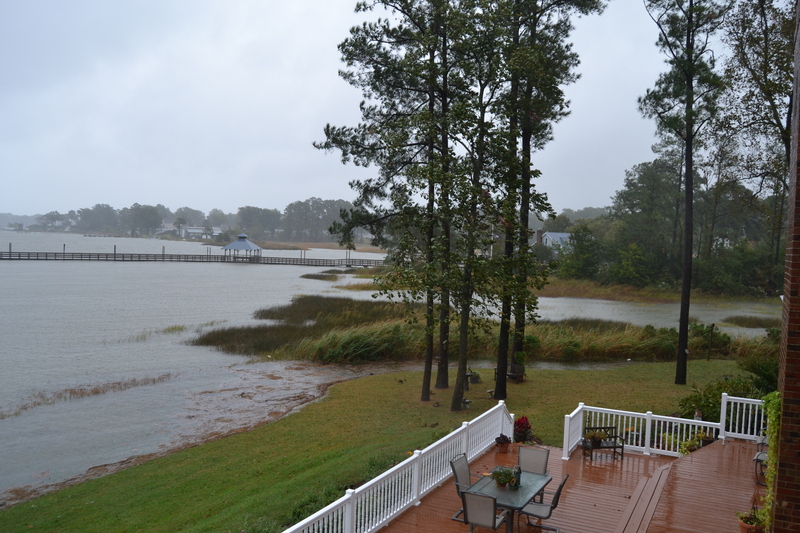 There’s been a lot of flooding in low-lying areas, but it hasn’t affected us much. Except it insisted on raining on me as I ran errands and got groceries yesterday! I am so bummed about this rain because we have friends visiting who expected to spend their days at the beach. They came in April, and the same thing happened. Yikes! Hoping blue skies and sunny days return soon. I hope the storm did not do to much damage to your yard. Wishing for sunshine and no rain this coming week.